Hello everyone! Just a short bit of a public service announcement this week. In this latest season of my life, I have become so aware of the trials and sufferings of those around me. I’m not talking about starving children in Africa or politically oppressed people in Asia, or impoverished South Americans. I’m talking about the people in our families, churches, and neighborhoods who are dealing with pain and difficulty right now. The middle-aged man who is suddenly and unexpectedly a widower, the couple struggling with debt and unemployment, the parents caring for a chronically, critically ill child, the small-business owner wondering how many months they can stay open or afford to employ others, or the parents who lose a child to an illness or an unexpected accident. I’ve addressed the issues of trials, suffering, God’s plans and the like in past posts. I’m not here to go over all of that again. What I want to address today is how we respond to those in our lives who are experiencing pain and struggle. So many times our first reaction when someone shares a trial or tragedy with us is to try to make them feel better. We say things like, “God is in control,” “Everything will work out,” “God’s going to do a miracle,” “They’re in a better place,” “There’s a purpose in this,” “Just lean on Him,” or many similar things. Many times, these things are completely true. God is in control, He does have a plan, and there is a purpose in our pain. But stop and really think about it. Does saying any of those things really make someone feel better? Is it even really possible to make someone feel better when they’re really going through something life-alteringly painful? I don’t think it is. The only one who can truly comfort someone in those types of situations is God, and He works directly on the heart and spirit of the sufferer, not through their ears. It is possible for us to do something, however. We can offer support in many ways that opens the door to God’s comfort and healing. Sometimes there are practical things that we can do to care for those who are hurting. The old saying is very true: “Actions speak louder than words.” In fact, one of the best things we can do for our suffering friends and loved ones is just keep our mouths shut. I can’t say I’m always good at that. I mean, I write this blog every week because I like communicating and expressing the things I’m learning and discovering about God. I never got in trouble in school for my papers being too short, but for them being too long. I can over-communicate very easily. Once in a while, though, I get it right. I remember one situation where I took my own advice, and I can look back and see how much more effective it was than if I had tried to pull out all my “great wisdom”. A friend had suffered an incredibly tragic loss. I’m pretty sure one of the first things I said on the phone was, “I don’t have any words.” Just things like “I’m so sorry,” and “I’ll be there as soon as I can”. And when I did get there to support her, I ended up (not by my own brilliance, I confess) just letting her tell me the whole story, with all the good memories, and all the painful details. We laughed a few times, cried a lot, and actually had a very beautiful time together. Did I make her suffering go away? No, there was nothing I could do to fix it. Did I say something profound that put everything in perspective? No, there’s not a lot of perspective when you suffer an immense loss. I would have loved to have taken a measure of her pain away, but all I could do was help her carry it for a few days. Over the next several months I followed the same course and spent time listening on the phone when she would get overwhelmed with the grief. Again, there was nothing I could do to make it better, but I could still offer support. Probably the most surprising thing to me was how I was changed and affected throughout the process. I saw God’s faithfulness, my friend’s trust in Him and her growth, and the miracle of God’s healing in spite of overwhelming emotional injury. If I had tried to spout wisdom, make things better, and run my own mouth, I would have missed the opportunity to be blessed and learn from God’s work in someone else’s life. So as you come across the pained and hurting in your own life, shut down the urge to try to fix things with your words, go against your natural instincts, and just keep quiet. Support, care for, and uphold the sufferer, but do it through caring actions and loving listening. You may be surprised at what God will do in your life too. Welcome back! Today I want to share with you another that was inspired by my reading about the ancient kings of Judah and Israel. I have to say, when I go back and dig through the Old Testament, I am often quite surprised by the level of treachery, violence, and corruption that existed in those days. If these were action movies instead of the Bible, I’d probably steer clear of them. I guess it is true, like Solomon said in Ecclesiastes, that there is nothing new under the sun. I find it interesting that God did not sugar-coat the history of His people. Many times in the accounts of the kings we are given this basic formula: King X did A and B which were good in the sight of the Lord, but he also did C, and so he did not obey God completely. Sometimes it’s just a plain, “King X did evil in the sight of the Lord and turned the people from Him.” Wow. Not how I would want to be remember for the next 3,000 years. I also find it interesting which events were included in the accounts of the kings, as some of them seem obviously important, while others feel more obscure. Each day, I’m excited to see what will happen next. One morning recently, I was reading about a king of Israel named Jeroboam. (2 Kings 14:23-29) Now, the first king of Israel after Judah and Israel split was also named Jeroboam, and he was one bad dude. He’s the guy all the other kings are compared to. In fact, often, their reigns are summed up, “He did what was evil in the Lord’s sight and followed the sins that Jeroboam son of Nebat had caused Israel to commit.” The Jeroboam we’re talking about today was not this first king, but a later namesake. The first Jeroboam was not a person I’d want to be named after. And yet, here we are, a couple hundred years later, and we have another Jeroboam. In the second verse about him, we see that same description just mentioned. He was an evil king. Not just a morally ambivalent king. Not a king with a mixed record. He was bad to the bone. Here’s the interesting thing. God pulled out one main accomplishment from Jeroboam’s reign to include in the Bible. 2 Kings tells us that Jeroboam’s main feat during his 41 years as king was to restore many of the borders of Israel. This was important because during the reigns of the last few kings before him, Israel had been almost constantly under attack by her neighbors. The passage from 2 Kings 14 tells us that God saw the trouble that the Israelites were experiencing, and that they had no friends or allies to help them, so He stepped in and gave Jeroboam the ability to rebuild and refortify the borders of Israel. At first that doesn’t seem too surprising, since God often had saved His people from their enemies. If we think, though, a little more about the situation, we can see that this was really quite an extraordinary thing for God to do. For one thing, the Israelites had been incredibly disobedient and unfaithful. In past times their faith and obedience had wavered (these were the people God had called “stiff-necked” back in Exodus), but never before had they been so completely dismissive of God. They ceased to obey His rules for worshipping Him, they began worshipping many of the false gods from neighboring lands, they killed His prophets when they didn’t approve of the message, and so on and so on. The people of Israel weren’t a bit backslidden, so to speak, they were in full-out rebellion against God. This was true from the king all the way down to the lowest classes of people. These were not a people who deserved, or even sought, God’s deliverance. And yet, God had compassion on them and rescued them from their troubles. The second thing I find interesting about this situation is God’s choice of deliverer for His people. In most of the other cases where God delivers His people from something, the person He chooses to do His work is someone faithful and obedient to Him. He chose Noah to save animals and people from the Flood, Moses to deliver the Israelites from Egypt, Joshua to lead them out of wandering and conquer their enemies, Gideon to deliver them from the Midianite raiders, and David to conquer the Philistines. And yet here we have Jeroboam, a notably bad guy, tasked with protecting and defending God’s people and their land. Why did God choose to use Jeroboam, rather than raising up a righteous hero? I don’t know. The Bible doesn’t give us a lot of information here. I don’t even really have a speculation. But what I do see is the truth that God sometimes uses truly bad things to make something good happen. Do we always see the good that God is going to bring about from the beginning? Surely not. When his brothers threw him in a pit, when they sold him to slave traders, when he was unjustly imprisoned, did Joseph know he would be a savior of many? Not in the least. When young Daniel was rounded up with his friends, separated from his family, forced to adapt to a new culture and a new language, did he know that he would counsel some of the most powerful men in all of history, or that God would use him to proclaim prophecies that are still being studied, thousands of years later? No, he couldn’t have even imagined it. We live in a world where bad people and bad situations are abundant. We could spend all our time asking why God allows these people and things to exist, to continue. The philosophical and theological debates would be (and certainly are) endless, without any conclusion that satisfies everyone. The truth is, we don’t really know why God allowed evil to ever exist, and why He now allows it to continue. My feeling is that the reasons and relationships are far too complex for us to understand, even if God were to reveal them directly to us. I wish there were no evil. That is what makes Heaven such a wonderful concept – a place completely without evil must be unimaginably wonderful. But such is not our situation here, no matter what you conclude about the nature, origin, or continued workings of evil. However, we have a clear promise and precedent in the Bible that God is bigger than the evil people and evil events of the world. He doesn’t just protect His people from evil, He doesn’t just teach us valuable lessons through the evil and painful things that happen to us, but He actually uses what we see as evil, bad, and unredeemable to do good for us in ways that we could not have anticipated or imagined. I wish that I could say that this truth explains away all the pain and suffering in the world. I can’t. Evil actions cause pain. Joseph, Daniel, the Israelites – they all suffered real pain from their situations. If you have experienced something terrible in your life, there is no denying the pain you have felt. Evil, even when God uses it for good, is still evil. I can’t promise that you won’t experience pain, or that you will quickly see the ways that God intends to bring good out of your bad situation. Joseph, Daniel, and the Israelites waited decades to see God’s provision through their sufferings. The fact is, you may not even see the results in your lifetime. I don’t know how God is going to work in your individual situation. What I do know is that He is the same yesterday, today, and forever, and that if He used bad for good 3,000 years ago, He’s still using bad for good now, and He will continue to do so in the future. Such a promise cannot erase the pain and suffering we will all experience, but it can give us a hope to cling to, a rope to help pull us up out of the depths and into a more brightly lit faith. I had several possible things on my mind to talk about with you all today, but in light of the recent and ongoing devastation across the Midwest, it seemed to me that the only true thing you need to be reminded of today is that God cares. Yes, these tornadoes are natural occurrences, yes, they’re a part of life in certain areas, yes, they happen year after year. Those of us who don’t live through tornado season each year sometimes forget how frightening and destructive they are until we see the pictures of the really big ones, like the one that swept through Oklahoma this week. We don’t think about the shattered lives or the decades-long impact that a single terrible storm can have on a community, and on individuals. Then something like the Moore tornado hits, and we are all suddenly aware of the reality of natural disasters. It shakes us. We can barely predict things like tornadoes, hurricanes, wildfires, blizzards and earthquakes. There is little we can do to prepare for them, and absolutely nothing we can do to stop them. All that makes them incredibly frightening and devastating. I won’t begin to get into the discussion of whether God causes or allows these events, and why some areas and some people are destroyed and others spared. Theologians can debate that issue back and forth till the cows come home, and still never come up with a solid answer. And really, the answer to that question isn’t all that important. What is important is for us to remember that none of these events escape God’s notice. He’s not like the much-criticized FEMA, late to the game and without the right equipment. He knows that on our planet, these sorts of natural disasters are going to happen, and even when He doesn’t stop them, He deeply cares about those who are affected. He hurts for each person who loses a loved one or a home or a prized possession. He feels the anxiety of those searching for missing family, even though He knows right where they are. His heart breaks with the hearts of the first responders who must mix their joy in rescuing people from the rubble with the sorrow of recovering each one who was not so lucky. Sometimes we don’t see how God could care when these kind of things happen. It can be hard to understand that God loves us and cares about us when He doesn’t keep bad things from happening to us. Like we talked about last week, God’s promise is not that He will keep us from any pain or suffering, but that He will be with us and make something good out of even our worst experiences. In the same way, God caring about us means that He is always near to us, always eager to comfort and heal when those terrible things do happen. To show you what I mean, I’m just going to let the Word of God speak straight to you, no commentary needed. God cares for you, friends. He cares if you’re having a tough day parenting your children. He cares if a coworker was unkind to you this week. He cares if you are struggling in your marriage. He cares if you have been the victim of a crime. He cares if you have been affected by a natural disaster. Whatever is hurting you, He cares, and you can take your problems to Him, expecting love and compassion. Don’t be shy about going to Him with your troubles, your fears and your pain. He cares! Welcome back! I hope you all had a wonderful weekend, especially all you amazing moms out there. You’ll notice that the title of this week’s post is “It’s Not Okay”. Wow…how is that for some truth? But truth it is. There are a lot of things in life that are not okay. It’s not okay that thousands of children are abused every single day. It’s not okay that my beautiful friend was just diagnosed with stage 4 cancer. It’s not okay that three young women spent the last 10 years in captivity in the middle of an Ohio suburb. 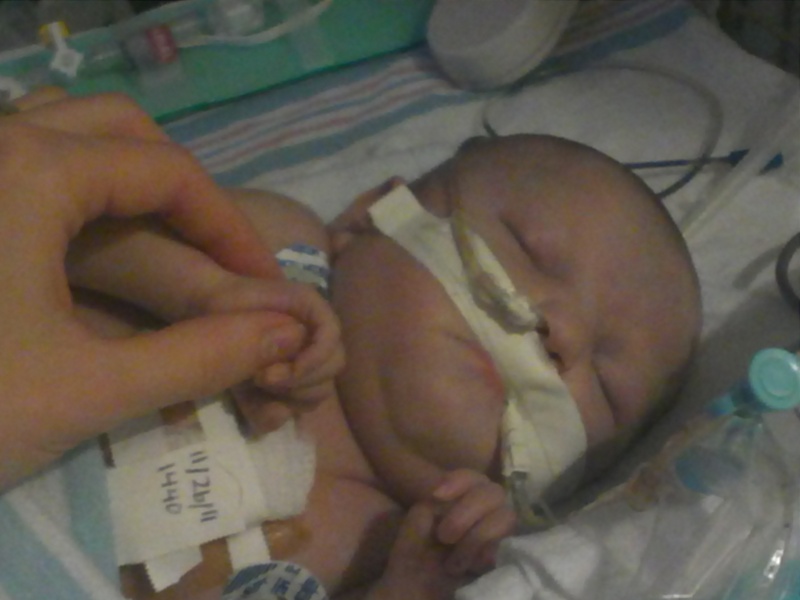 It’s not okay that my niece was born with a heart defect. It’s not okay that buildings collapse and kill people because someone was too greedy to ensure the building’s safety. It’s not okay that my best friends lost their daughter before she was two months old. It’s not okay that every day spouses are being cheated on, teens are being drawn into drug and alcohol addiction, children are being orphaned, lives are being lost before they’ve really been lived. The list just keeps going. No matter what you believe about why there is evil or pain in the world, you can’t escape the truth that it is there. I almost feel unqualified to even be talking about this subject, because right now there’s not a lot of pain in my life. I am happily married, we have a comfortable house and a steady income, we’re surrounded by loving family and friends, and I’m 5 months in to an uncomplicated, relatively painless pregnancy. The scary thing is, I know that any of that could change at any moment. Pain, trial, suffering, whatever you want to call it, could pop up any day. In fact, one of these days it will. I don’t know what it will be, or when it will come, but I know that there is something down the road that I am going to have to face, whether I like it or not. So often, Christians try to sell our particular brand of belief by talking about how much better life is once you accept Christ as your savior and have a personal relationship with God. On the one hand, that is true. There is absolutely nothing better than a personal, intimate relationship with a merciful, powerful creator. It changes everything. But it does nothing to change the fact that you and I will have awful things happen in our lives. The Bible is pretty clear about this. Jesus promises, “In this world you will have troubles.” (John 16:33) His brother James, in his letter to the believers who had been scatter from Jerusalem due to extreme persecution, speaks of trials and suffering as a given in the life of a Christian. (James 1:2) We sometimes forget about it here in America, but Christians have been persecuted by economic oppression, torture, and death from the very beginning up to the present day. And even Christians who don’t suffer for their beliefs still suffer. The friends and family that I mentioned earlier, none of them are suffering because someone doesn’t like that they believe in Jesus; they are suffering because the world is a broken place. God created our world to be a beautiful, peaceful, perfect place. We still see the traces of that perfection and beauty in nature, in certain relationships, in very precious moments in our life. But when evil entered the world and gained a foothold, nothing could be perfect anymore. That’s the thing about evil – it ruins everything. There is absolutely nothing in life that is completely perfect. The wonderful joy and love that comes with a new baby is only reached through months of discomfort and hours of extreme pain. The most beautiful mountains of our planet claim the lives of many who are lured in by the challenge of conquering them. Many of the most majestic animals in nature survive by hunting and killing other wonderful creatures. Man, who creates beautiful works of art and amazing feats of engineering, cannot live long without fighting and warring, whether on the battlefield, in the courtroom, or in the living room. We seem a doomed world. And doomed we are. As we just saw, no one escapes the trials of a life lived on earth. There is no religion that is able to erase suffering. Some promise it, but none delivers. Now you’re probably thinking, “What a terrible thing to say. This blog is about glad hearts. I’m not feeling particularly glad at the moment.” And you would be right. So far, I’ve only given you the bad news. I wish I could tell you that it will all get better. I wish I could “sell” Christianity to you right here by telling you that if you surrender your life to God and accept Jesus Christ as your savior, all the suffering in your life will disappear. Many, many people would gladly tell you exactly that. But as I said earlier, that’s simply not how it works. Don’t despair, however, because there really, truly is good news in all this suffering. That’s a lot of truth right there, friends. God doesn’t promise that we won’t face pain and suffering. Sometimes, I confess, that terrifies me. I hate the certain uncertainty of a future suffering. I have to walk a thin line between realism and pessimism. The comfort and the victory come when I remember God’s promises, when I recall that I will never go through pain that doesn’t result in something good, and I will never walk through a valley alone. I don’t know what it is in your life right now that’s not okay, but I know that every one of you has something that you are struggling with or that is causing you pain. Even in the goodness of my current situation, I encounter daily trials. It doesn’t matter if you are dealing with something that seems minor or catastrophic to others; whatever your pain is, it is painful to you. I’m so sorry that I can’t promise you a pain-free life. What I can tell you is that not once have I seen God desert someone in their suffering. I’ve watched people go through the most terrible things, far worse than most of us will ever endure, and every time, something good has been the result, when those people trusted God to redeem their suffering and stand by them through their trials. Whatever it is that you are walking through right now, I encourage you to let God walk through it with you, and to bring you something good on the other side. The focus of this blog is joy, gladness and thankfulness. The background is cheerful, the topics are often meant to leave you feeling a little bit better than when you started reading. But the fact is, sometimes life hurts. To be human is to experience pain. I see this everywhere, it seems. The sweet little baby suffering from an incurable, painful immune disease; the vibrant, lively school boy who is now in a rehab hospital recovering from being hit by a car while biking with friends; the young daughter of missionaries suddenly struck with a life-threatening disease that has caused her organs to shut down; the mother with painful joints that refuse to heal; the marriages that are barely hanging by a thread; the newborn who underwent open heart surgery to repair a congenital defect at just 6 days old – my heart breaks for them. Why is there so much pain? Why are these good people suffering so much? I find that I am wholly unsatisfied with the answer, “Because we live in a fallen world of sin.” My niece was not born with a heart condition because of sin. My friends did not lose their first child because of sin. Children don’t get hit by cars because the world is fallen. Fathers don’t lose their jobs because people are sinful. Don’t get me wrong – sin does cause pain. Always. But it is nonsense to say that all pain is simply the result of the fall of man. It’s just too simplistic. And it makes it cruel and meaningless. When we give sin in general as the cause of our common pain, we make God out to be unjust and unloving if he allows us to suffer simply because someone else made bad choices. Sin is a cause, but it is not the cause. Why, then, does God allow us to suffer? Even more, why does He sometimes seem to cause our suffering? Years ago in college I took a course on C. S. Lewis. While his Mere Christianity and Chronicles of Narnia are perennial favorites, I often come back to one of his less-beloved works, The Problem of Pain. I appreciate the way Lewis seems to think of every argument I’m going to raise, and addresses it before I can protest. While the book covers a lot of theological and philosophical ground, I find myself drawn to two specific sections, one on the goodness of God, and one on the problem of human suffering. While Lewis’ discussions on these topics can’t answer the specific why’s of each individual situation, they do provide a framework in which we can begin to answer the questions of our own pain. I want to share with you a selection of excerpts from The Problem of Pain, and offer a few of my own thoughts on them. Do we not often find ourselves guilty of such thinking? Don’t we feel that if God loved us more, we would suffer less? The twin lie to this is that God gives greater blessings to those He loves more. I can’t think of anyone God loved more than Jesus Christ, but I also cannot think of anyone who suffered more pain than Christ. If you have been an artist, or a pet-owner, or a parent, or a spouse, you can begin to understand each of these kinds of love, perhaps even several. But you will never be able to understand what it is to have every one of those kinds of love directed toward the same object. God’s love for us is wholly incomprehensible. “The problem of reconciling human suffering with the existence of a God who loves, is only insoluble so long as we attach a trivial menaing to the word ‘love’, and look on things as if man were the centre of them. Man is not the centre. God does not exist for the sake of man. Man does not exist for his own sake. ‘Thou has created all things, and for thy pleasure they are and were created.’ [Revelation 4:11] We were made not primarily that we may love God (though we were made for that too) but that God may love us, that we may become objects in which the Divine love may rest ‘well pleased’. It is always good to be reminded that we are not the center of the universe, but how sweet a thought that we were created not just for God’s pleasure but so that He could love us. You and I were made to be loved. How amazing! God is not Santa, not a fairy-godfather, responsible for meeting our demands. His every action in our lives is enacted with the sole purpose of making us more like Him, more as He created us to be. God doesn’t enjoy our pain, but He is well aware of its effectiveness in getting our attention. This was made clearest to me when my dear friends lost their infant daughter. Though their pain was extensive and excruciating, from the moment they knew she was at risk they had held her with open hands and had kept their hands open once she was taken, fully trusting that God had something to give them and with which to bless them. You can read more about their story here. I have been truly amazed by the wonderful ways I have seen people, especially believers, rise to the occasion and support the suffering. Meals, transportation, listening, mourning with those who mourn, financial provision, childcare, taking over details, helping with daily living – so many go out of their way to ease others’ pain. God works to make us more like Him not only in our own pain, but in the pain of those around us. Oh, how we need this reminder that we are not home yet, that we have more waiting for us. Our present sufferings are nothing compared with the joy we will receive one day (Romans 8:18). I love what Lewis points out here: that though we have troubles now – real and painful trials – they are not the whole of our experience. God is so merciful to us, every moment of every day. Each flower blooming in spring, each leaf with its own autumn color, every kind word from friend or stranger, each moment of rest…They are like springs of water to our dry, weary souls. I don’t know what your pain is right now. I don’t know exactly what it is that God wants to say to you or give to you. I have a hard enough time understanding what He is doing in my own trials and sufferings. But I am sure of this, friends, that every trial, every pain is purposed to make you more Christ-like, more obedient, and more sure of God’s love for you. It is not calculated destroy you, or to separate you from your Heavenly Father. Even though He may be allowing or even causing your suffering (for His own perfect and good purposes in you) He is ready and waiting to comfort you, to reassure you of His unwavering love for you. Even in your deepest sorrow or most searing pain, you are not alone or abandoned. How has God used pain to get your attention? How has He blessed you in your suffering? Feel free to make this a place to share your sorrows and your joys! Welcome back, friends! I am excited to introduce the first in a series on how God is working in the real lives of real people. Over the next several months, I will have the privilege of introducing you to people who have found God to be faithful in both the ordinary and the extraordinary. Their situations may echo something in your own life, or they may not, but in either case, I hope that you will hear what they have to share and be encouraged. Today we will be hearing from Sarah, who has recently had the opportunity to prove God’s faithfulness. In February 2011, Sarah and her husband found out that they were expecting their first child, a little girl, whom they named Elliana, meaning “God has heard”. Certainly it seemed that God had heard their prayers for an addition to their family. Sadly, at 26 weeks into Sarah’s pregnancy, they discovered that Elliana had a very serious heart condition. Elliana was born on October 22, 2011, and underwent surgery to begin repairing her heart within a few days. After 7 weeks, it became apparent that though Elliana’s spirit was very strong, her heart simply could not keep up. After a couple of very difficult days, she passed away on December 13. In the midst of all these struggles, the question on many minds was, Where is God in this? We all wanted to find some reason why God would take such a beautiful little girl away after such a short time with her family. Colt, Sarah’s husband, answered the question very well when he said that the answer was not to be found in Elliana’s healing or death, but in the way that God sustained them through all of the ups and downs of her short life. I can attest to the fact that though she was with us for such a short time, Elliana made a big impact on my life, and the lives of many others. It is Sarah’s hope, as well as mine, that by sharing the things learned through this difficult time, others will be encourage to look for and find God’s faithfulness to them, no matter what the circumstances. CL: Thank you for being willing to share with us, Sarah. To start off, can you tell us, in just a few words, your understanding of who God is? Sarah: God to me is someone that wants to be involved in every aspect of my life, whether large or small. I believe that He is worthy of our praise, affection, love, and devotion. I believe that who He is should always be at the very center of who I am. CL: You have recently experienced some significant trials in your life. Prior to entering this time, how would you have described your trust in God? Sarah: I trusted God to do what He saw fit in my life, but I never expected it to bring pain. So, in a way I trusted Him to bring blessing because I was serving Him. I knew it wasn’t Biblical, but it was easy to think that if I just lived my life the right way, only good would come. CL: You found out midway through your pregnancy that your daughter, Elliana, would be born with a serious heart condition. What were your first thoughts? Sarah: My first thoughts were, “There is no way”, “They must have made some mistake” and “How could this be happening to us?” You hear about other peoples’ stories of difficulty, but you never think it will happen to you. CL: How did God sustain you during your months of waiting? Sarah: The first few weeks were by far the hardest. My world seemed tossed into turmoil with trying to not fear, thinking maybe I had done something wrong, and trying to find some sort of normalcy. God worked on me a lot during that time, challenging me with His word and beginning to show me what it meant to cling to His truth and believe it for myself. Up until this point I had believed the Bible, but I had never had a situation like this in which I had to cling to His promises with every ounce of my being. CL: Was it difficult to make the choice to open your heart to your daughter even though her future was so uncertain? Sarah: Truthfully, that was not hard for me. From the beginning I loved our baby. By the time we found out about her heart I had already enjoyed almost 2 months of feeling her kick, and each movement allowed me to dream about what she was like. Her uncertain future brought fear, yes, but it never remotely changed how much I cherished her. I think when we first realized she would have a difficult start I looked at Colt and there was this kind of knowing that this changed nothing. We knew that no matter what it took, we would be with her every step of the way. I wholeheartedly believe that if she were still with us, we would be doing that now. It never would have stopped. We both also loved her from the moment we heard a baby was coming. None of that ever changed just because her heart didn’t form the way most do. Through the course of her life, God granted us the ability to see, even for a short season, all the unique attributes that were clearly hers. I look back and see every moment we cherished with her as an absolute gift. CL: What were some ways that God made your heart glad during Elliana’s time with you? Sarah: There really were many times God brought joy in our weeks with Elliana, and even before she was born. It had been a couple months that we had known about her heart condition, the three surgeries that would be required, and the extra care that would be needed, and the bigger she got the more I looked forward to meeting her, no matter what the days ahead entailed. I will never forget the joy and yet nervousness I felt about what lay before us when I went into labor and Colt rushed me to the hospital (an hour away). Ten hours after we got to the hospital she was born, and I cannot express the indescribable joy and pride that I felt looking at our daughter and hearing her first cry. When I got to hold her for 2 minutes before they had to whisk her away, it was incredible. It was in that moment that I knew I had been created to be her mother. This was what I was made for. She just stared back at me content and curious. I will never forget that moment, filled with awe, joy, and a peace that no matter what would come, God would be with us and we would get through it. CL: Did Elliana’s life teach you anything new about God? Sarah: Her life taught me that no matter what you face, God will be there. I had an idea of this concept before, but more than ever I cherish my walk with God. He is my delight and my joy. Even though I hope and pray there is not further pain in the days ahead, such as we have gone through, I know without a doubt that God will get me through. Her life also taught me more clearly that His ways are not necessarily our ways. Though I would love to tell a success story of how she got better and is alive today, she isn’t. God sometimes doesn’t do what we want Him to do and it doesn’t mean that He isn’t just as good and just as faithful. I have learned that God sometimes uses our pain and our weakness to show His power. Though the pain we have walked through has been unimaginable, He still brings hope. How is that? you may ask. The God who can perform miracles, yet sometimes chooses not to, still decided to perform a miracle in the healing of my heart. So even though God didn’t give me what I asked for, and chose to ask us to give up our only child, I am honored that He felt that with Him, we could make it through this. Even though He said no to what we asked, He did say that His grace is sufficient. It truly has been. Though I hope and pray no one goes through anything like what we have been through, I do hope others will see that through our pain and weakness He will be strong and give us His grace if only we will let Him. CL: Elliana passed away after just seven weeks with you. Do you feel that your trust in God has changed since then? Sarah: Yes, trust to me is not trusting God to do what I want or even what I prefer. Trust is literally giving up the reins and saying “God, have your way, even if I don’t understand it.” I don’t think that kind of trust comes from living life when everything goes the way you hope. It is a different way of living life and a different way of seeing that which He has given you. Even now, choosing to trust God is a choice I have to make daily. My faith isn’t something I “feel,” at least not very frequently; it has become what I must have each day to make it through. He has to be my source, or I fall apart. CL: In what ways does God make your heart glad now, even as you are still grieving for your daughter? Sarah: Probably the biggest way has been through our joy in expecting our second child. Just 2 ½ months after Elliana passed away we found out we were pregnant again. Now, 27 weeks along, we recently found out we are expecting a little boy and that he is healthy and strong! What joyful news for us! We have found that after all we have walked through, we cannot take a day for granted. Expecting and giving birth to a healthy child is a huge gift that many parents take for granted, and I can say for us it is one of the biggest blessings we will ever be given. I still struggle with trusting our child’s life into God’s hands, knowing that only He knows the future of this little one. and of all our lives as well. But, His grace truly is sufficient for each and every day. So, no matter what comes, He is faithful and full of goodness. Another way that God has made my heart glad is in memories of Elliana. It may sound odd, but God has helped me remember her with joy and hope. I loved being her mother and it was one of the greatest joys of my life. I can look back, and even though she died, I would never change any of it. Yes, I wish she were here, but even knowing what would happen in advance, I would go through it all again because of the joys of loving her. Another huge blessing God has given that I am able to rejoice in is my husband. God has brought us together in ways I never thought He could do through the grief of losing our child. Because of the pain we have faced together, we can look at life and be thankful for all we have been given. Even in the midst of the pain, God has given us times of such deep joy, laughter, and a love for life that I can only attribute to Him. CL: Is there any advice you can offer to those of us who want to help a friend or family member through a difficult loss? Sarah: The biggest blessing for me has been those people who are willing to sit and listen. They don’t try and solve the problem or the pain of grief; they simply are there with me to hear whatever I have currently been working through. A mother who lost her 18 year old son shared with me the most helpful, compassionate words she heard in her process of grieving, given by a friend: “I will never tire of hearing stories about him. Even if they’re the same ones over and over again. I’ll always be here to listen.” That to me is one of the greatest things a person can do. No matter if the day is full of joy or sorrow; they are there to help by simply being there. Our pastor also said something to us that has been so true for my husband and I. He explained that in the body of Christ our sorrows are halved and our joys are doubled. I believe that is what the body of Christ is meant to be, caring and loving even in the midst of hurt that is unspeakable. CL: Is there anything else you would like to share? Sarah: Sometimes we strive to live a life of comfort and ease without pain. However, I am reminded that if pain is not in our life at all, we really aren’t living. We live in a fallen world, and to experience no pain is really not possible. It is through our pain that God can pour indescribable joy into us, and a hope unlike any other. Still, God leaves the choice to us, will we let trials create distance between us and our relationship with Him, or will we cling to Him, allowing Him to transform us and make us more like Him? Somehow through the pain of losing a child, God has brought an even greater understanding of who He is and through this heartache; I have learned even more clearly how good He is. How awesome that we serve a God who is not only faithful, but brings hope in the midst of despair, joy for sorrow and complete restoration to our hurting hearts. If something in Sarah’s story connected with you, we would love to hear about it. Are you struggling with a loss right now? Let us know so we can be there with you. As always, may your heart be glad!